Today's the day to take the next step towards a more satisfying and profitable career. The HomeSpection® Training Institute provides you with an 80 hour, pre-licensing, Advanced Home Inspection Training Course. This course includes seven days of "Hands-On" training in the classroom and out in the field inspecting your very first two homes, plus an additional 24 hours out in the field performing four practice property inspections. These practice inspections ensure that you are comfortable using the report writing software report, with proper terminology and pictures, and that your General Home Inspection (GHI) reports are perfect! Our course also includes; one-on-one personalized attention, all of your textbooks and class materials, all the inspection tools you'll need to perform an inspection, and our 7 day 24 hour support that no other school in our profession offers! Please read and compare our Testimonials to any other school in the country. Our students say it ALL! In our 15 plus years, 100% of our students have passed the final exam on their first attempt! We have been Accredited with an A+ rating from the Better Business Bureau (BBB.org) since 2012 without ever having one complaint! Other schools charge their students hundreds of dollars more for books and tool packages, and don't offer on-going support...again, we include everything in your tuition and we stay out of your pockets! 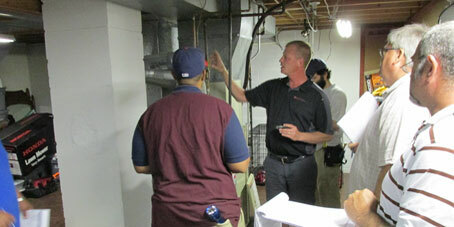 The cost for the 80 hour Advanced Home Inspection course is only $2995. The Pre-Enrollment Form below is the first step in our School Enrollment process. Make sure you have read the School's entire web site before filling it out, as it will answer all of your questions from what we do for our students that NO other school in our profession comes close to, including our affordable tuition. Our course Certifications are accepted in every State, however some States have additional Licensing Requirements, and it is up to each individual to research their State's requirements. 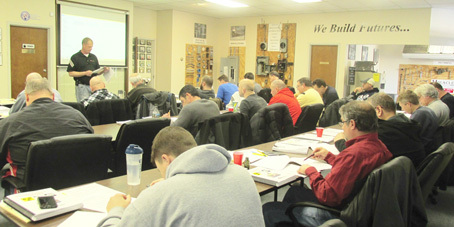 This course meets the requirements for pre-licensing in Ohio and many other states. Again, click on ALL tabs on the Home Page. After filling out the Pre-Enrollment Form call us immediately on our toll free number of 877-658-6143 to set up an appointment to either come into the school to complete the Enrollment process or complete it online. We take calls seven days a week and in the evening until 10pm. Please call our school's toll free number of 877-658-6143. 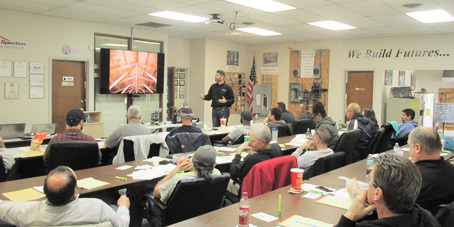 Our Advanced Home Inspection Training Course sells out each month and in most cases, months in advance, so please call for availability for our next monthly classes. We are currently enrolling for 2019 Spring & Summer Classes starting on Monday May 6th (One seat left! ), Monday June 3rd (Two seats left! ), and Monday July 8th (Call for availability). Our classes typically start on the first Monday of the month and run Monday through Friday from 9am to 5pm and the following Monday & Tuesday from 9am to 5pm. 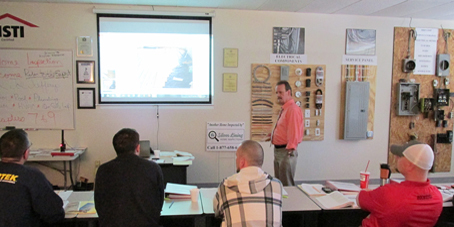 Due to our TOTAL "Hands-On" personalized training, our class size is limited, so give us a call to reserve your seat today! 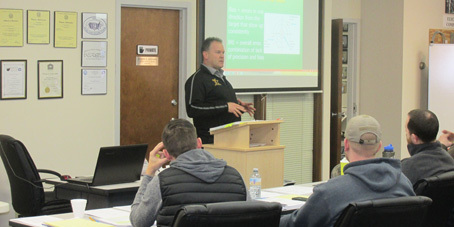 Our Radon Measurement & Testing Course is a two day, 16 hour course, and we are currently enrolling for classes starting on April 24th & 25th (One seat left!) and May 22nd & 23rd (Six seats left!). This is a required course by the Ohio Department of Health in order to obtain your Radon Tester license, and it has been approved nationally by the National Radon Safety Board (NRSB) and the National Radon Proficiency Program (NRPP Course ID # HSTI-1). In 2018 our classes averaged over a 93% passing rate on the NRSB National Exam! 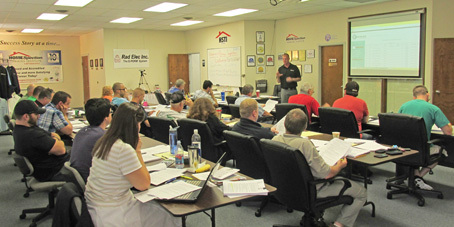 The cost for the two day, 16-hour, Radon Training course with the National Exam is $475. Our Certified Microbial (Mold) Assessment Training Course is a one day, eight hour course that will cover the basic understanding of Mycology, the equipment used for a microbial assessment, what are the most useful types of laboratory sampling techniques for a home inspector, and have a limited understanding of how to read laboratory reports. 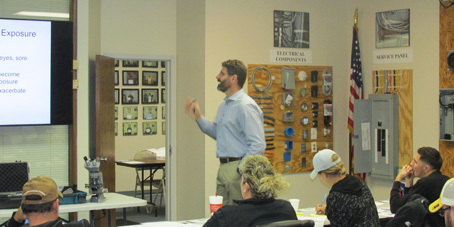 However, the main focus of the class is in Construction Science, where construction techniques and building materials that create elevated moisture conditions are discussed in detail. After taking this class, you will look at a home differently because you will learn that microbial contamination is only a symptom, and moisture is really the problem. Our next course is scheduled for Friday June 21st (Seven seats left!). 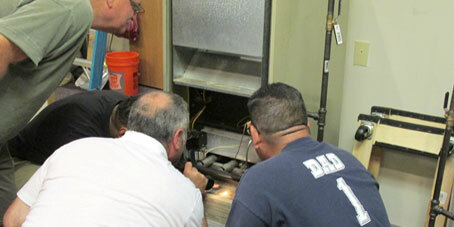 The cost for the Mold Training course is $375 and is taught by one of the best in the country. You can read more about Mark Adams on our "About Us" page. We are very excited to announce that our Radon Mitigation Training Course has been approved by the Ohio Department of Health (TR #7) and the National Radon Safety Board (NRSB). 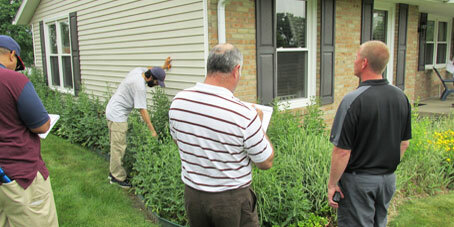 The three day, 24-hour courses is a requirement for students looking to get licensed as a Mitigation Specialist. This course will be taught hands-on, both in the classroom and out in the field where we will be installing a radon mitigation system. If you are looking to get licensed by the Department of Health as a Radon Mitigation Specialist you must first complete the Radon Measurement Course. 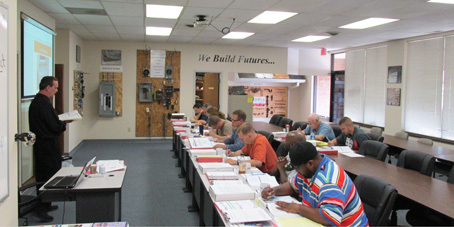 We are currently enrolling for our June 28th - June 30th Radon Mitigation Training Course (14 seats left!). The Cost is $795 and includes the National Exam at the end of class on Day 3. If you are interested in taking any of our courses, please fill out the form below and you can pay for the course by clicking on the 'Visa/MasterCard/Discover' logo. Make 2019 the year you change your future! We turn our students into "One Success Story at a time..."
We accept all major forms of payment, including personal and cashier's checks, cash, and both credit and debit cards. You can click on the credit card image below to make a secure credit/debit card payment right from our website. Financing Available! Call us at 877-658-6143 for details. If you'd like to view our school catalog, click here.